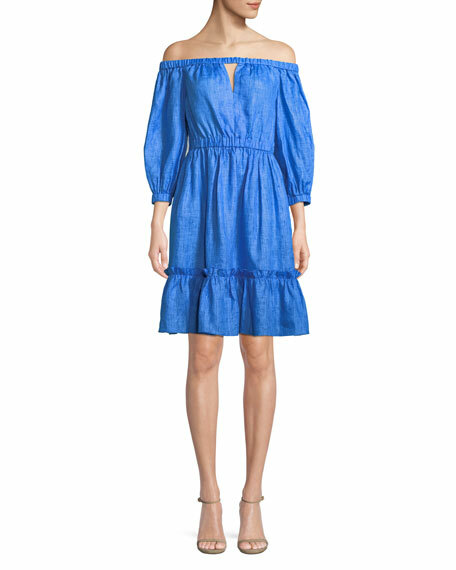 Etoile Isabel Marant "Talita" linen dress. For in-store inquiries, use sku #2365242. Alexis "Joyce" dress with textured fil coup detail. V neckline; button front. Three-quarter sleeves. Self-ties at waist. A-line silhouette. Tiered skirt. Maxi length. Linen; silk embroidery. Self lining. Imported. 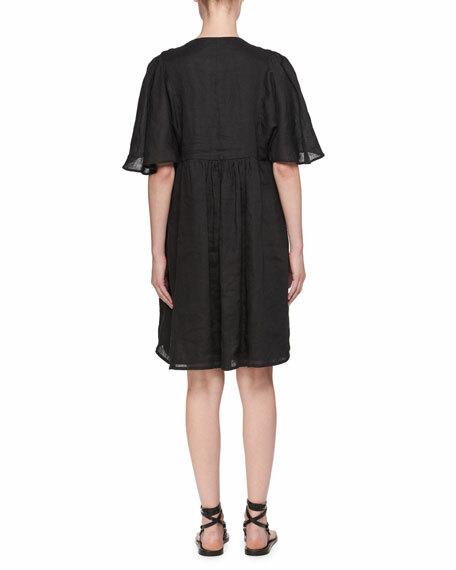 Coach dress with broderie anglaise & grommet trim. High neckline; self-tie front. Sleeveless. Drawstring ties at waist. A-line silhouette. Scalloped asymmetric hem. Midi length. Slipover style. Cotton/linen. Dry clean. Imported. 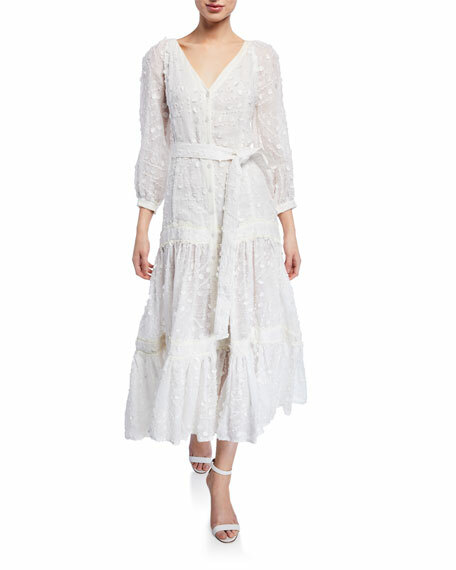 Milly "Amanda" dress in linen. Elasticized neckline, waist, and cuffs. Off-the-shoulder neckline; cutout detail at front and back. Three-quarter sleeves. Hem hits above knee. A-line silhouette. Dry clean. Made in USA of imported material. 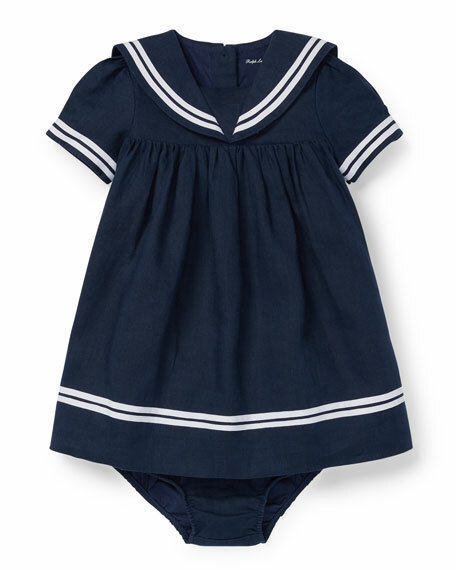 Ralph Lauren Childrenswear "Sailor" dress. Contrast taping at collar, cuffs, and hem. Round neckline with sailor collar. Short sleeves. Pleated, Empire waist. A-line silhouette. Includes matching bloomers. Dress and bloomers: cotton. Imported.